LG Electronics (LG) has published research to identify and analyze consumers’ viewing habits when they watch TV at home. This research was conducted in cooperation with global market and opinion research company IPSOS. The study revealed that only an average of 4 percent of viewers in the United States and France watch TV sitting directly in front of the screen. Furthermore, the study goes on to show that more than half of respondents are viewing at angles greater than 15 degrees off-center. In addition, 55 percent of respondents noticed a decrease in picture quality when they moved to a different viewing position. IPSOS conducted the study on a sample of 100 households in the United States and France from January 18th to 31st, 2017. All households that participated in the study had more than three family members and owned LCD TVs with a screen size of 40-inches or larger. According to the survey, 55 percent of participants noticed shifts in image quality depending on the angle that the screen was viewed from. Respondents used an average TV viewing distance of less than five meters, with nearly 60 percent of viewers watching from a distance between one to three meters. Many TV reviewers and experts agree that a TV’s viewing angle can have a significant impact on picture quality. 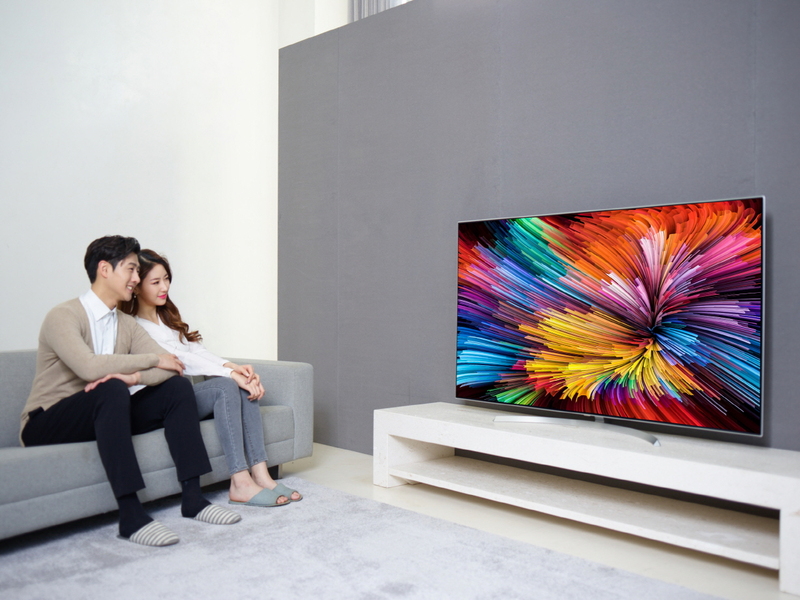 Although the latest high-end LCD TVs deliver enhanced colors, deeper blacks and greater contrast, viewing angle capabilities vary greatly from product to product due to gaps in technological capability and the panels used in the TV. For example, LG’s 2017 Nano Cell SUPER UHD TVs offer the exact same picture to viewers at up to 60 degrees off-axis. In contrast, conventional Quantum Dot LCD TVs suffer from a color gamut that can be as much as 58 percent smaller when viewed from 60 degrees off-axis, according to tests conducted by LG. The results of IPSOS’ latest study confirms and reinforces the findings of previous research done in Japan and the United States, in regards to the importance of TV viewing angles, by the Japan Ergonomics Society and CBS Vision , respectively. Ideal for large, high-resolution TVs, LG SUPER UHD TVs with Nano Cell technology delivers consistent colors at wider viewing angles with virtually no color difference for viewers. LG’s Nano Cell SUPER UHD TVs will be available locally by the last week of April 2017.